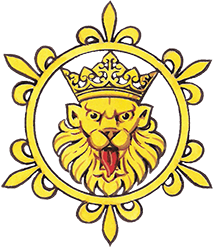 The 62nd Annual General Meeting of The Heraldry Society will take place at The Society of Antiquaries, Burlington House Piccadilly, London on Wednesday 17th October at 5.00pm. The AGM will be followed at 6.30pm by the John Brooke-Little lecture. This year Patric Dickinson, Clarenceux King of Arms will speak on his ‘Fifty Years at the College of Arms’.